Horse health really starts with proper nutrition. 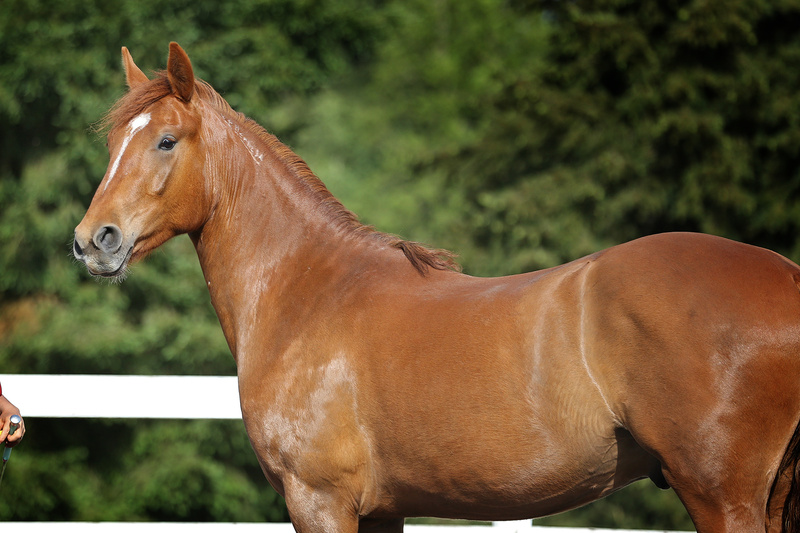 It seems like a simple concept: If there are adequate minerals, vitamins and proper protein/carbohydrate ratios, horses can be brought from the brink of survival and you can see their good health emanate from their shiny coats, sparkly eyes and strong hooves. But this balance is not common in the horse world. Most areas of the nation have soils deficient in certain nutrients. In the Pacific Northwest, selenium, copper and zinc can be lacking. Learning about soil is essential to prevent parasitism, balance minerals and prevent disease. As well, vitamin A and omega fatty acids plentiful in a good healthy field are deficient in dry hay. Too little is detrimental, but so is too much. Just offering a supplement salt block is not enough since a horse will not ingest this form of supplementation unless he is salt deprived. Free choice supplementation is a good idea but the dish needs to be cleaned and replenished often with a lot of wasted materials. What I do is supplement with small amounts of a lot of things, including nutrient rich herbs from other parts of the country and I think this helps a lot. I start with a base of dry cob for everyone (no molasses), then I use a 1/2 dose of complete pellets (LMF-low calorie so they can eat more volume), I also use the LMF super supplement but only 1/4 dose, I add senior pellets (with higher fat) for the older horse as keeping weight on during the winter is difficult. Then I add chia seeds and flax meal and 1/8 cup of organic nettle powder for everyone and organic hawthorne berry powder. For the horses in hard work or older I add GLC (a strong and expensive glucosamine supplement) and MSM. I soak everything in the morning and then feed this herbal gruel in the afternoon. It is essential to soak everything in my opinion to avoid choak and aid in digestion and pre-digestion. Soaking also ensures I can get almost any herb into a horse. When my young Mustang developed a mild skin infection presumed to be related to Staphylococcus causing circular lesions on the skin, I used a combination of oral Oregon grape root powder and probiotics (Dynapro) in his daily ration as well as topical diluted essential oils such as lavender oil. 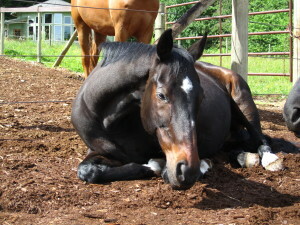 Please note: Horses do not do well on Corn oil or highly processed oils. The shine should come from a deep cultivation of healthy GI bacteria. The thing that concerns me most is genetically modified ingredients in the daily rations. I believe this can trigger immune problems, such as urticaria, sarcoid formation and colic. America is riddled with GMO’s and we are suffering health issues; horses are no exception. 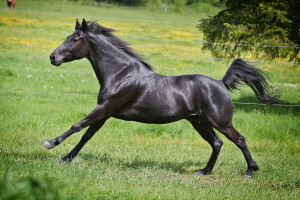 Recognizing each horses energetic pattern is useful when trying to figure out what herbs he or she needs. Charlie is a water, meaning he is prone to Kidney related illness and the emotion of fear. Tino is a metal, meaning he is prone to weakness of Lung and Large intestine. If he gets stressed he will both cough and have light diarrhea. (Note: horses should not have loose stools regularly). Mick is my fire personality, meaning he might be prone to inflammation of any organ system especially the Small Intestine, Triple Burner and Heart. Charlie resting his legs. He is my water personality. Tino is my metal personality. He keeps it all inside. Mick, the Mustang is my fire personality. Three years old but with the wisdom the wild world gave him.